In the world of computing, there's a groundswell of excitement for what is perceived as the impending revolution in artificial intelligence. Like the industrial revolution in the 19th century and the digital revolution in the 20th, the AI revolution is expected to change the way we live and work. Now, Cristiano Fanelli aims to bring the AI revolution to nuclear physics. Fanelli, who is currently a postdoctoral researcher at the Massachusetts Institute of Technology, is the winner of the 2018 Jefferson Science Associates Postdoctoral Prize for his project to use artificial intelligence to optimize systems for nuclear physics research being carried out at the U.S. Department of Energy's Thomas Jefferson National Accelerator Facility. "It's an exciting time to do nuclear and particle physics research with the artificial intelligence revolution happening now," said Fanelli. Since 2015, Fanelli has been working on GlueX, an experiment that is being carried out as part of the 12 GeV upgrade to Jefferson Lab's Continuous Electron Beam Accelerator Facility (CEBAF). Scientists in the GlueX collaboration aim to produce and study so-called exotic hybrid mesons. These particles are built of the same stuff as ordinary protons and neutrons: quarks bound together by the "glue" of the strong force. But the glue in these mesons behaves differently and may provide a window into how subatomic particles are built. The GlueX collaboration is adding a new system to its existing equipment called DIRC, which stands for Detection of Internally Reflected Cherenkov light. The new system will help identify particles that are produced in experiments, such as protons, pions and kaons. This capability will allow researchers to infer the quark flavor content of exotic hybrid and conventional mesons produced in experiments. The DIRC consists of a complex design of many components that must be aligned precisely for accurate particle identification. Fanelli is working on implementing Bayesian optimization to allow researchers to use computers to more quickly and accurately predict the optimum alignment for the components of the DIRC system. He is also exploring the use of deep learning for the DIRC system. Deep learning is a hot topic in artificial intelligence, and it is responsible for a variety of technologies, from self-driving cars to Google Assistant. "Deep learning is revolutionizing the world, and will have a dramatic impact on fields across the sciences and beyond," Fanelli said. He is studying whether deep learning can be applied to particle identification in experiments. "You can train neural networks to evaluate particle identification using low-level features in each detector," Fanelli said. "Ambitiously, one can imagine the hit patterns in the PMT plane like 3D images (two space coordinates, and time) to be classified in categories, the particles that generated them." 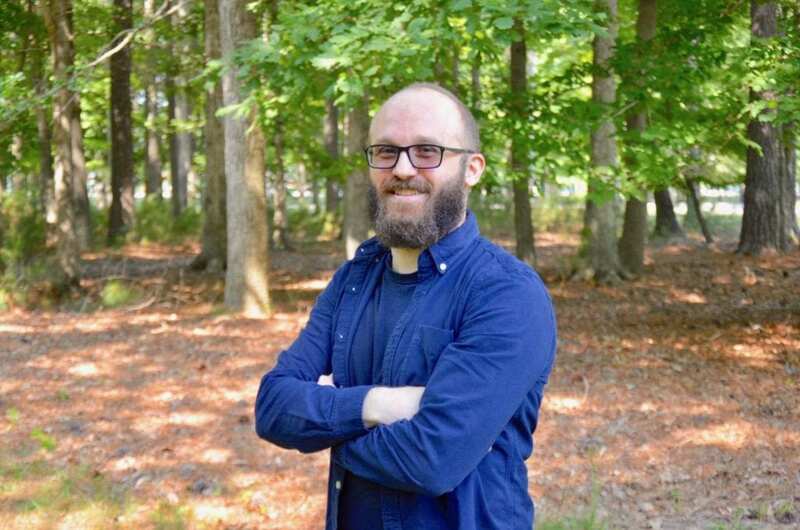 Fanelli is pursuing this work with the help of the $10,000 research grant from the 2018 JSA Postdoctoral Prize, which has been offered annually since 2008. The prize is awarded by the Jefferson Lab Users Group Board of Directors. The group represents the scientists who come to Jefferson Lab to use its unique facilities to conduct research. In making the award, the board judges each applicant on his or her record of accomplishment in physics, proposed use of the research grant and the likelihood of further accomplishments in the Jefferson Lab research fields. The grant is funded by the JSA Initiatives Fund program, which is provided by Jefferson Science Associates to support programs, initiatives and activities that further the scientific outreach, and promote the science, education and technology missions of Jefferson Lab and benefit the laboratory's user community. "The postdoc prize entries were outstanding this year, reflecting the excitement and the breadth of the physics program with the simultaneous operation of beams to all four experimental halls," said Krishna Kumar, chair of the Jefferson Lab Users Group Board of Directors and professor at Stony Brook University. "While it was difficult for the committee to select a winner, we were impressed by the scope and immediate impact of the project proposed by Fanelli." In addition to the 2018 JSA Postdoctoral Prize, Fanelli is also the recipient of the 2018 EIC Postdoctoral Research Fellowship, and in 2015 he was awarded Jefferson Lab's Ph.D. Thesis Prize. Over the next year, Fanelli will apply similar advanced computing techniques to optimize the design of detectors for a new particle accelerator in development, the Electron-Ion Collider, or EIC.